The Mega FSF400-6W is part of the premium range of water pumps and filter sets manufactured by Bosta. Designed for domestic pools this model is suitable for pools with up to 40 cubic metres of water in. 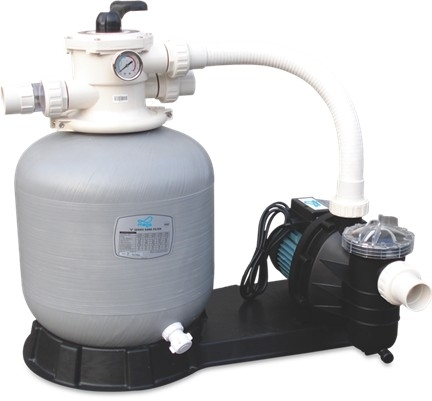 The filter has a 6 port multiport vale top mounted complete with pressure gauge, with the filter housing itself made of reinforced polyester for long life and durability.